A few years ago I created what I believed to be the largest needle felted pumpkin in existence, it was rather large and made a fabulous footstool but it spent much of it’s life bagged up in the barn. 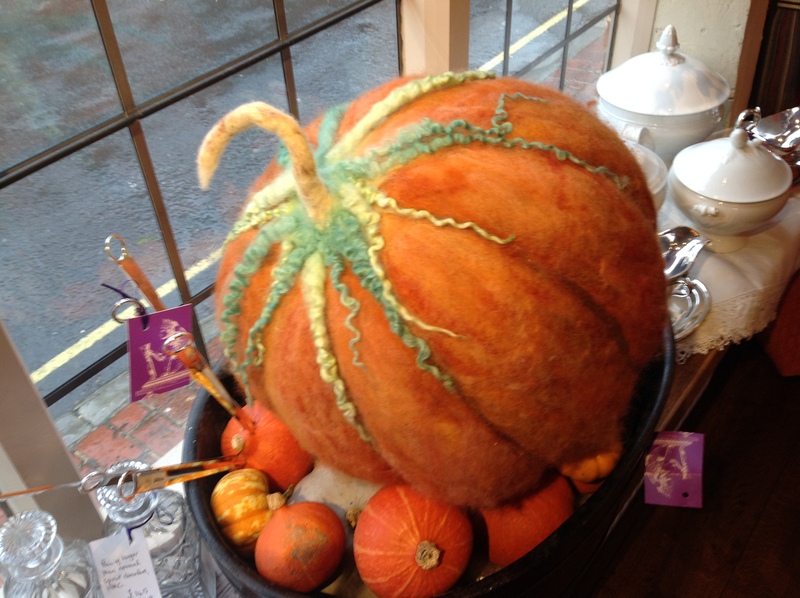 A chance conversation with a Lewes shop owner eventually found the pumpkin travelling to Alfriston where it made a wonderful display in a shop window there. 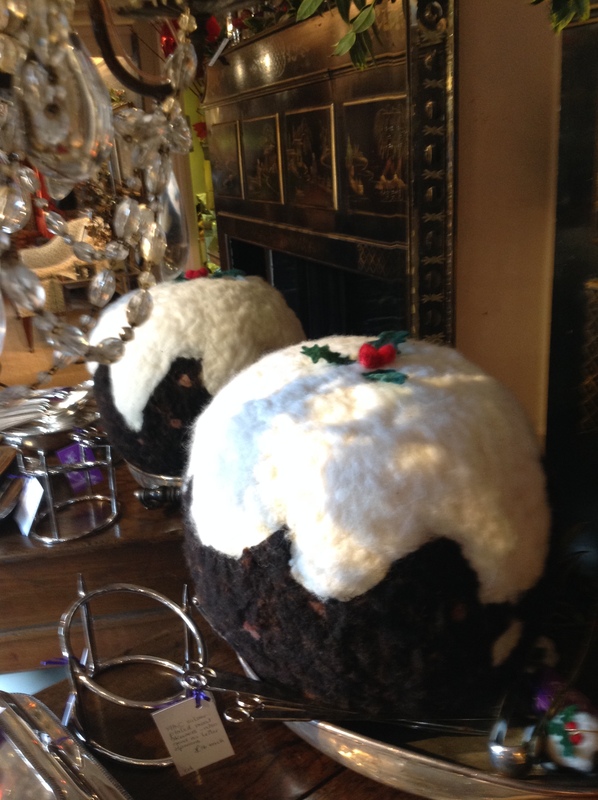 Then I was commissioned to make a giant Christmas pudding, this one weighed in and 1.2K and was 45″ around and 14″ tall. 30 mini puddings accompanied it to Alfriston too for the Christmas window display. 30 Snowball decorations will be decorating a certain antique shop window in Lewes just after the beginning of December and mini puddings will be in another. Many of my decorations will adorn the tree in a high street bank in Lewes too. 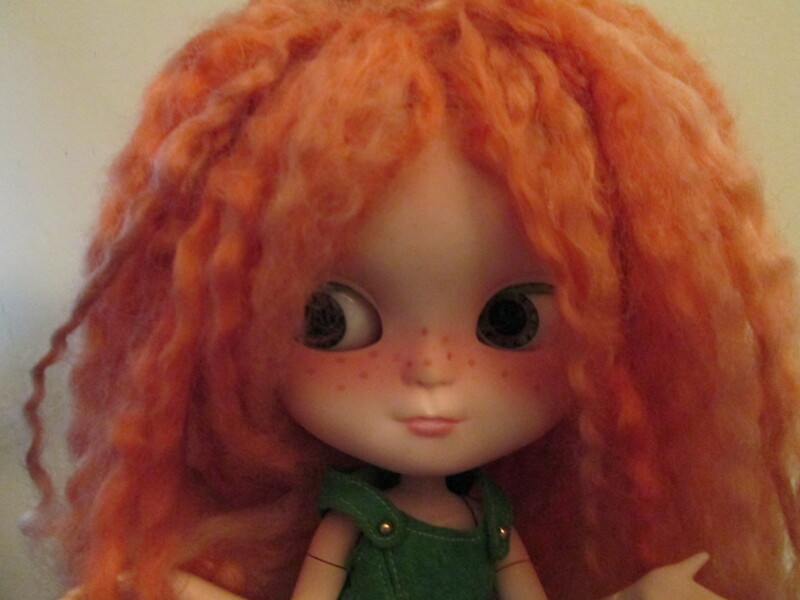 My next big commission is still under wraps but look for it in Mays window in the next week or so. 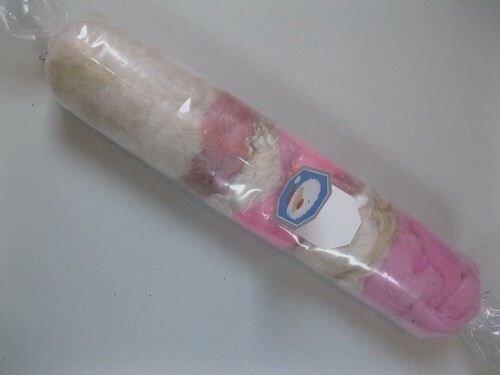 My supply of fleece has dwindled but thanks to a certain auction website, they keep arriving. When I’m not washing the fleece I’m felting it. I’ve never made this many felted items and I’m happy to say that I’m using British wool in everything I’m making. Last years show was one of the wettest on record and was literally a wash out for many of the traders. This year it looks like the sun is paying us visit and I may well need a sunhat & suncream. The East Sussex Guild Weavers,Spinners & Dyers will as usual be demonstrating their skills with members from other local guilds. 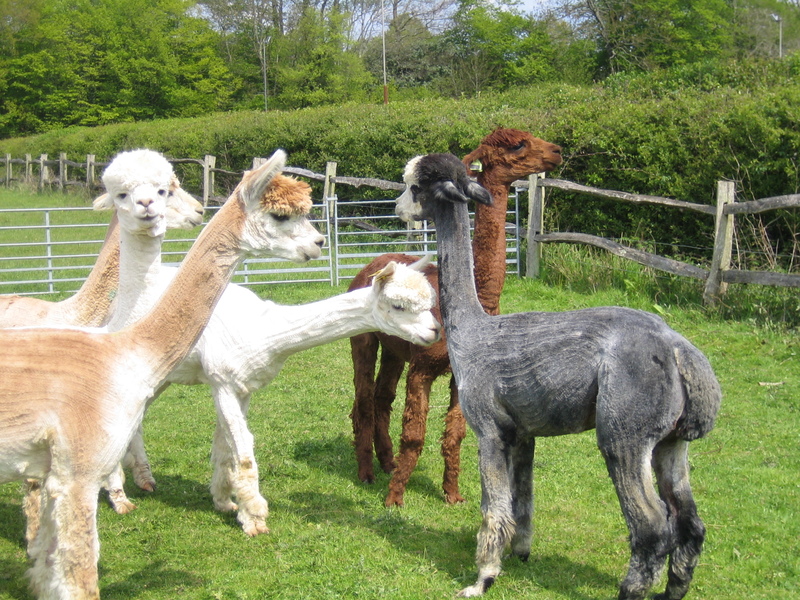 We will be in a marquee near the alpaca show. 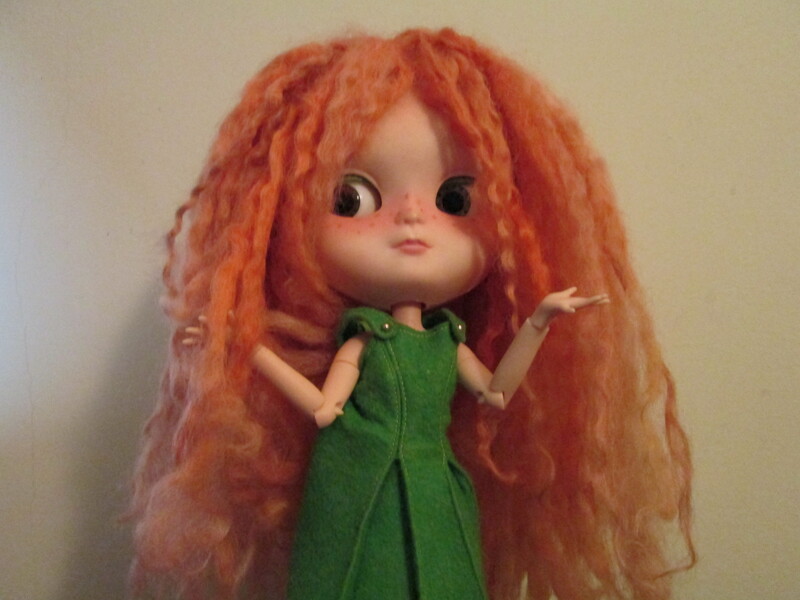 I will be there on Sunday demonstrating needle felting and broomstick crochet. The show is also open on Bank Holiday Monday. 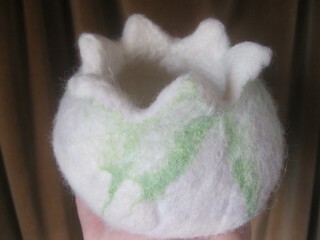 Come along and learn how to make your own felt bowl and needlefelt eggs. 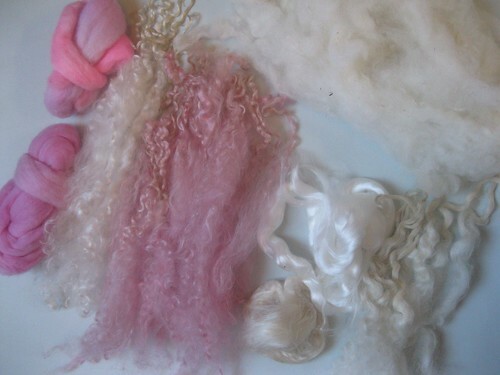 Using hand dyed merino and natural white the vessels are pretty and useful, certain to brighten up the home. Monday 4th March 2013 Workshop time ; 7pm – 9.30pm at Brighton Road Baptist Church. Places are limited so book early, either through me or the Make website. 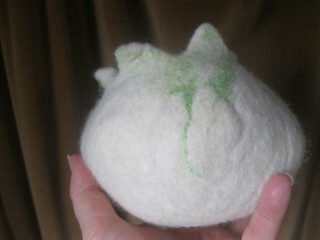 We will make a few needlefelt eggs to pop inside too! Create your own eco friendly and unbreakable felt garland to decorate your tree or your door. No previous experience required, suitable for all ages. I will supply all the necessary ingredients, you bring imagination and enthusiasm! We will be using Christmas shaped cookie cutters so if you have a special one please bring that too! Some experience beneficial but not essential! 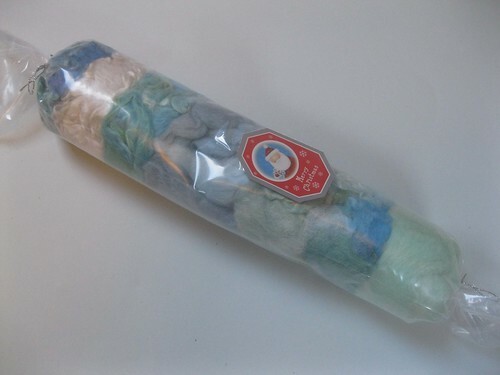 We will build a snowman/person using clean sheep wool. Use as a table decoration or place in the window. 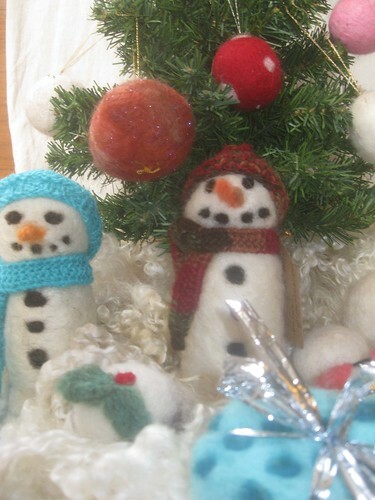 Knitting or crochet skills useful to make hat and scarf for snowman but not necessary. All ingredients supplied but feel free to bring favourite yarn/needles. There is a cafe on site but feel free to bring packed lunch. 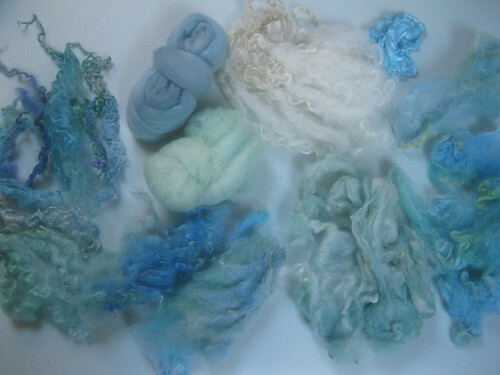 Please email me knitwit95@gmail.com to book you place on any of the workshops. Or phone 07845143664.